A fun new addition to our construction vehicles! Ride along on the Cement Truck as it drives through a neighborhood. 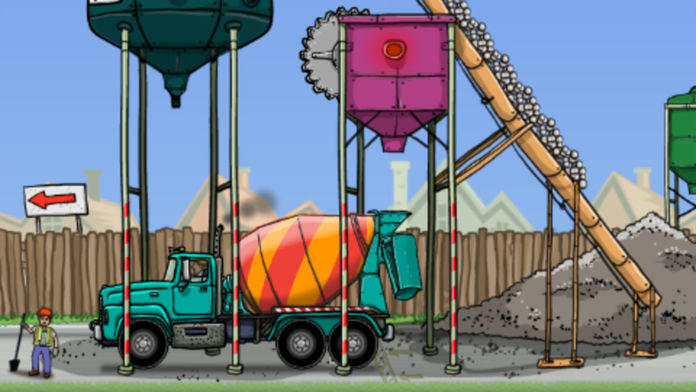 Fill up the cement truck with rocks and water at the cement plant. 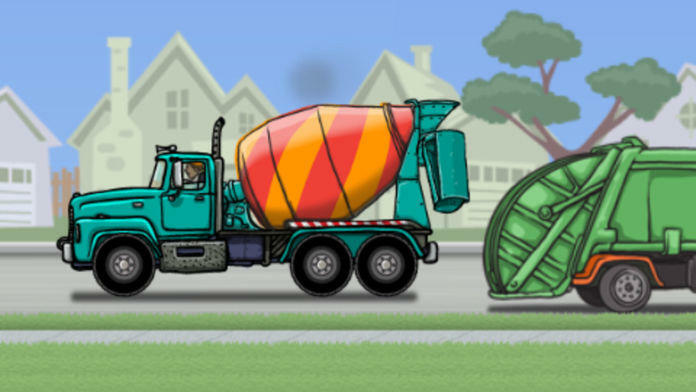 Visit various construction sites to pour cement! 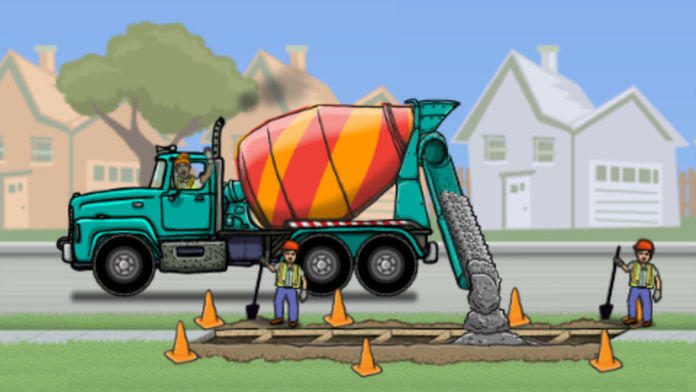 Help the cement truck pour cement and fix the sidewalk! Pour a foundation for a museum and even help build a highway! 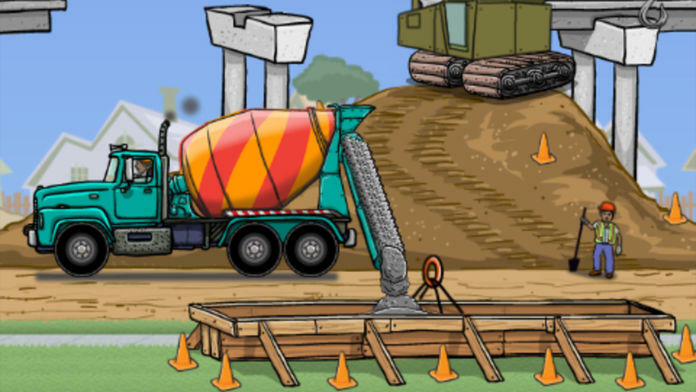 A real treat for those little construction vehicle enthusiasts and a great way to encourage curiosity and interaction for all. Touch the driver and he honks the horn. Touch a cloud as it passes by and it smiles and hums. Touch the crane and it lifts! The neighborhood is interactive. When your child touches people, animals, or vehicles they make sounds and perform actions. 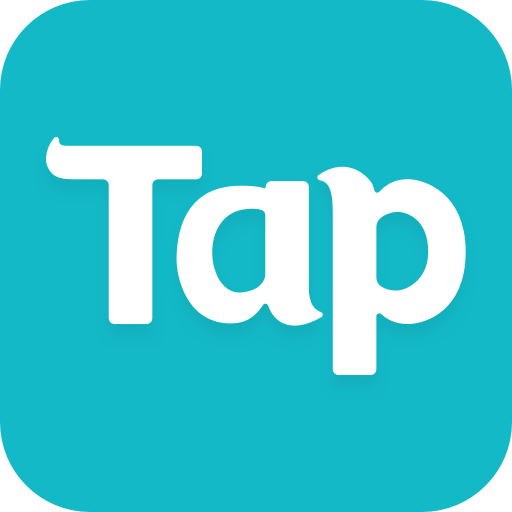 Its like a moving story book! 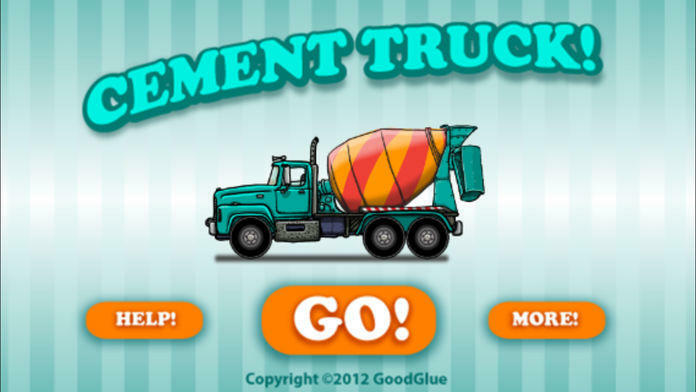 A great way to explore the sights and sounds of a Cement Truck! ● Little Big Pop: ABC's!